After just completing my first bottle of Xtend and moving onto my second bottle (and second flavor) I’ve decided to get my review of the supplement up here at Workout Tipster. 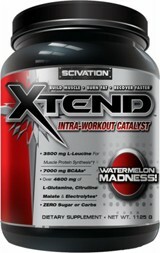 Xtend is a “intra-workout catalyst” supplement made by the supplement company Scivation. 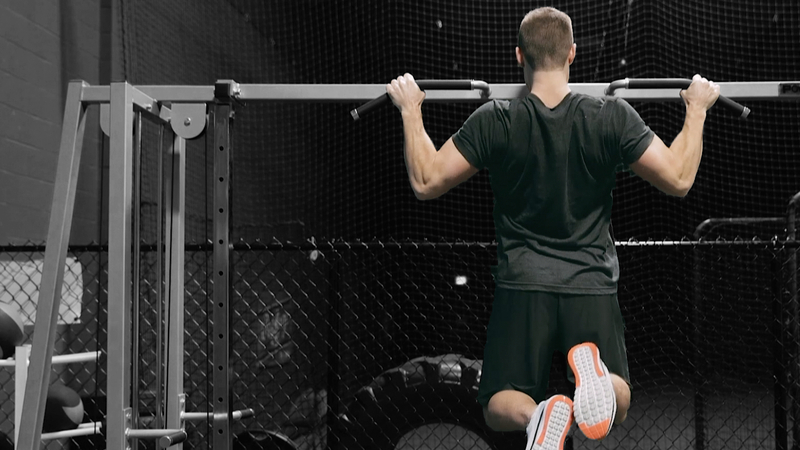 Xtend is to be taken during your workout mixed with water. So what is the Xtend Supplement? Xtend is a great intra workout supplement that contains an electrolyte blend and branch chain amino acids (BCAAs). The supplement is designed to maximize your training intensity and promote optimal muscle protein synthesis and muscle recovery during and after your workout. Xtend is promoted to build muscle and burn fat while recovering faster, but ladies don’t have to fear about building muscle while taking Xtend. As always I recommend you check with a doctor before taking any supplement, but Xtend is great for women who are simply trying to stay fit too. For this review I will give Xtend a 9/10 for taste. Surprisingly I’ve seen a few ratings and reviews online that have the Orange Dream flavor rated lower than other Xtend flavors, but I really enjoyed the Orange. I guess it all depends on your own taste. I’ve also just opened my new Watermelon Madness flavor and it was just OK in my books. I simply mix 1 scoop with about 12 ounces of water at the gym and, although there is a little more water in there than Scivation recommends, it tastes great. It mixes very easily in shaker bottle too which is another plus for the review. What are the side effects for Xtend? First things first – check with a doctor before using it (as is always recommended with every supplement). But in my case I had no side effects what so ever. With only electrolytes and BCAAs in the formula you shouldn’t see any side effects like you might with some other powerful supplements or intra workout products that contain beta alanine (which would give you a tingling feeling). The only maybe very slight side effect I’ve had with Xtend was chugging it too quickly on a hot day and getting a bit of a cramp during an intense training session. But with that said, I could have cramped up if it were just water anyways. Anything else I should know for this review? I think I’ve said about it all. As far as price goes you can get it for about $0.75 a serving at BodyBuilding.com (which is where I recommend you purchase all of your supplements). This is one of the top supplements I would recommend to someone who is training – no matter what their goals were. BCAAs are extremely important in my opinion, and the electrolyte blend is great for recovery and lasting longer during workouts. I personally use a protein that has more BCAAs in it, and also take another dose of straight BCAAs during the day so I only take 1 scoop of Xtend during my workout, but on their website they mention that men can take 2-4 scoops depending on your weight and women can take 1-3 scoops depending on your weight. If I wasn’t taking other BCAA products I would be taking probably 3 scoops of Xtend. Overall I rate Xtend a 9.5/10 and have it on my top supplement list (soon after a Greens product and a protein supplement). I already used this supplement and it’s really work.